Sorry, we're unable to complete the search at this time. 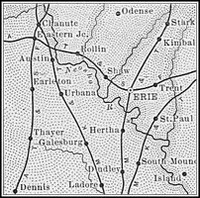 Note: Images courtesy Wikipedia; 1899 map courtesy History of Kansas . 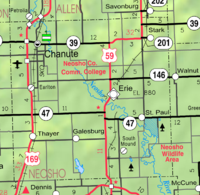 Resources shown are located within approximately 25 miles of the center of Neosho County.